High-Purity Standards, Inc. (HPS) was founded in 1990 by internationally known chemist, Dr. Theodore Rains. (See Ted Rains History) after retiring from twenty-five years at the National Institute of Standards and Technology (NIST). Dr. Rains started HPS to continue his commitment to high quality spectrometric standards and certified reference materials. This passion was fueled by an understanding that the scientific community continues to demand more of their reference materials. In 2001, Connie Hayes joined her father, Ted Rains, as vice-president of finance. 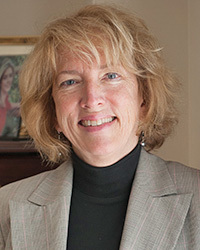 In 2008, Connie took over the operation of the company as CEO. 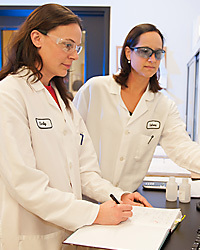 She holds a MS in analytical chemistry from Purdue University. Her background includes extensive management and quality systems experience at IBM and Computer Sciences Corp. Her chemical lab experience includes time at Monsanto Research Corp. In April 2011, the company moved into a new headquarters in Charleston after an extensive planning and remodeling project. This represented a major milestone for the company with its expansion into an 18,000 square foot facility, nearly doubling its former lab space. The move enabled HPS to design labs to meet the specific needs of the many production lines and to support an ever-expanding quality system. We invite our customers to visit whenever they are visiting beautiful Charleston, South Carolina. 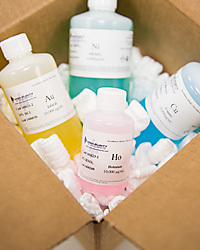 Today, the company employs over 40 chemists, sales and shipping specialists. HPS is an internationally recognized manufacturer of analytical standards and certified reference materials sold to municipalities, research labs, colleges, mining operations, chemical and pharmaceutical producers around the globe. 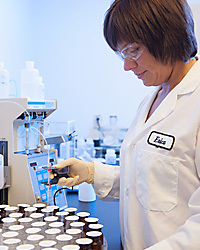 High-Purity Standards has an on-going comprehensive product testing and quality certification program that has resulted in our meeting and exceeding a wide variety of industry quality standards created by the International Organization for Standardization: ISO 9001:2015, ISO/IEC 17025:2005 and ISO Guide 34:2009. More information is available in the Quality & Certification section.